It is difficult not to be struck by Amsterdam’s well-preserved beauty; the lovely canalscapes depicted in centuriesold paintings are remarkably unchanged. Historian Geert Mak once described Amsterdam as ‘a Cinderella under glass’, spared as it was from wartime destruction and ham-fisted developers. The comely old centre has no fewer than 7000 historical monuments, more humpback bridges than Venice and more trees per capita than Paris. Unlike many capitals, Amsterdam has few grand edifices to trumpet. There is hardly the space for a Louvre or Westminster Abbey, which anyway would be out of keeping with Calvinist modesty. But you’ll be pressed to find another city with such a wealth of residential architecture, and with an appeal that owes more to understated elegance than to power and pomp. 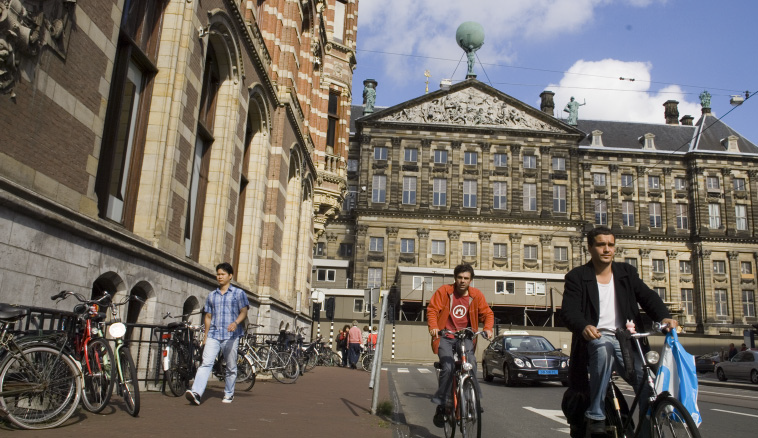 Amsterdam’s beauty was built on freedoms – of trade, religion and aesthetics. Many of its gabled mansions and warehouses were erected by merchants in the Golden Age, with little meddling by city hall. Thus its leading citizens determined the look of the city, an early urban experiment. Dutch architecture today is one of the country’s most successful exports, with names such as Rem Koolhaas and Lars Spuybroek popping up on blueprints from Shanghai to Stuttgart. Back home, rivalry can be intensely local as talents in Amsterdam and Rotterdam jostle for a spot in the architectural pantheon. 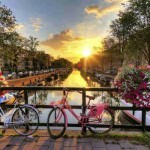 Around the year 1200, Amsterdam was a muddy little trading post on the Amstel river. The soft marshland couldn’t support brick, so the earliest houses were made of timber, often with clay and thatched roofs – similar, actually, to ones still standing in Amsterdam-Noord. Even these modest abodes would list into the soggy ground. A disastrous fire burnt down much of the city centre in the 15th century, and wood was sensibly outlawed as a main building material. There was plenty of clay to make brick, but this was too heavy, let alone stone. The engineers solved the problem by driving piles into the peat. So timber gave way to heavier brick, and thatched roofs were replaced by sturdier tile. Eventually brick and sandstone became de rigueur for everything. Only two early houses with timber façades have survived to this day. In a lovely courtyard near the Spui, the house at Begijnhof 34 is the oldest preserved wooden house in the country, dating from 1465. The other specimen can be found at Zeedijk 1, home of the In ’t Aepjen café, from the mid-16th century. 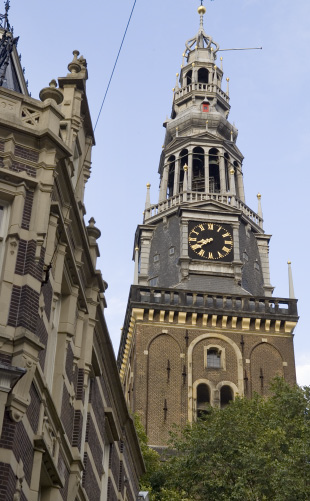 The city’s oldest surviving building is the Oude Kerk (Old Church, 1340), a fine specimen of Dutch brick Gothic style. The secondoldest is the Nieuwe Kerk (New Church), a late-Gothic masterpiece from the early 15th century. You can clearly see how, over time, the Catholic choir and altar ceded ground to the Protestant pulpit. In both churches, notice the wooden roof frames. Another classic of the era is the Montelbaanstoren, one of the city’s signature buildings and a Rembrandt favourite. 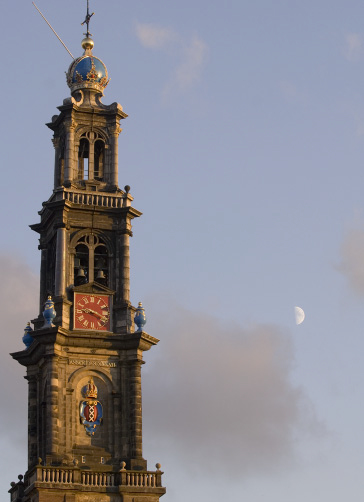 The octagonal steeple was designed by master architect Hendrick de Keyser to house a clock that’s still in use today. Among Amsterdam’s great treasures are the magnificent gables, the façades at roof level that adorn the elegant houses along the canals. The gables hid the roof from public view and helped to identify the house until 1795, when the French occupiers introduced house numbers. Gables then became more of a fashion accessory. 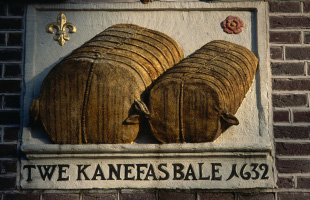 There are four main types: the simple spout gable, with diagonal outline and semicircular windows or shutters, that was used mainly for warehouses from the 1580s to the early 1700s; the step gable, a late-Gothic design favoured by Dutch Renaissance architects; the neck gable, also known as the bottle gable, a durable design introduced in the 1640s; and the bell gable, which appeared in the 1660s and became popular in the 18th century. Many canal houses deliberately tip forward. Given the narrowness of staircases, owners needed an easy way to move large goods and furniture to the upper floors. The solution: a hoist built into the gable, to lift objects up and in through the windows. The tilt allowed loading without bumping into the house front. Some properties even have huge hoist-wheels in the attic with a rope and hook that run through the hoist beam. The forward lean also makes the houses seem larger, which makes it easier to admire the façade and gable – a fortunate coincidence for everyone. Other house features included wall tablets; see the boxed text. As the Italian Renaissance filtered north, Dutch architects developed a rich ornamental style that merged the classical and the traditional, with their own brand of subtle humour. They inserted mock columns, known as pilasters, into the façades and replaced the old spout gables with step gables. Sculptures, columns and little obelisks suddenly appeared all over the Canal Belt. Red brick and horizontal bands of white were all the rage too. The best-known talent of this period was Hendrick de Keyser (1565–1621), the city sculptor. He worked with Hendrick Staets, a Canal Belt planner, and Cornelis Danckerts, the city bricklayer, to produce some of the city’s finest masterpieces. Every student of Dutch architecture knows the Bartolotti House, a design by De Keyser, who also put his stamp on three ‘directional churches’: the Zuiderkerk (Southern Church) and Westerkerk (Western Church; p93 ), both Gothic in flavour, and the Noorderkerk (Northern Church, built for poor Jordaaners, and laid out like a Greek cross inside, a veritable revolution at the time. De Keyser also created the landmark Munttoren (Mint Tower; cnr Rokin & Singel). The national mint was moved here ahead of advancing French troops in 1673, but had little time to print any currency. Also attributed to De Keyser is the Rasphuis Gate. Halfway along Heiligeweg, it once led to the Rasphuis, a model penitentiary where inmates would ‘rasp’ (scrape) Brazil wood for the dye industry. 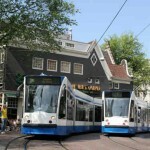 Key commercial buildings include the Greenland Warehouses (Keizersgracht). Whale oil was a sought-after ingredient for soap, lamp oil and paint, and wells in these warehouses held 100,000L of the precious stuff. Nowadays they’re chic apartments, the façade is well maintained. The wonderful Huis aan de Drie Grachten (House on the Three Canals, 1609; Oudezijds Achterburgwal 329) marks where the three burgwallen (fortified embankments) meet. Note the house’s steep gables, leaded glass windows and handsome shutters. Before street numbers were introduced in 1795, many Amsterdam homes were identified by their wall tablets. These painted or carved stone plaques were practical decorations that earmarked the origin, religion or profession of the inhabitants. Beautiful examples of these stones are still found on many buildings along the main canals. Occupations are a frequent theme: tobacconists, milliners, merchants, skippers, undertakers, even grass-mowers. The tablets also provide hints about the city’s past. A stone depicting a mail wagon at Singel 74 commemorates the start of postal services between Amsterdam and Den Haag in 1660. Further down the street, there’s one portraying the scene of Eve tempting Adam with an apple, harking back to a fruit market of yesteryear. Many plaques celebrate the lives of famous citizens, such as maritime hero Michiel Adriaenszoon de Ruyter and biologist Jan Swammerdam. The most appealing, however, recall the domestic life and vocations of the age; for examples, see www.amsterdamsegevelstenen.nl. During the Golden Age of art in the 17th century, architects such as Jacob van Campen, Philips Vingboons and his brother Justus decided to stick to Greek and Roman classical design, dropping many of De Keyser’s playful decorations. 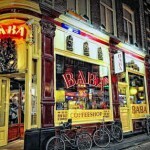 Influenced by Italian architects, the Dutch made façades look like temples and pilasters like columns. All revolved around clever deception. Neck gables with decorative scrolls came into fashion, often crowned by a templelike roof. Garlands appeared under windows, and red brick, which was prone to crumbling, was hardened with dark paint. 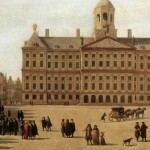 The most impressive example of Dutch Classicism is Van Campen’s city hall (now the Royal Palace). The largest city hall in Europe, it was given a precious shell of Bentheim sandstone and a marble interior inspired by the Roman palaces. The Vingboons designed the Bijbels Museum, the White House (now also part of the Theater Instituut Nederland) and the fine example at Keizersgracht 319). Justus Vingboons’ Trippenhuis is about as austere as it gets. Built in 1660–64 for the wealthy Tripp brothers, who made their fortune in metals, artillery and ammunition, the most striking hallmarks are up at roof level – chimneys shaped like mortars. Later in the 17th century, façades became plainer as the pendulum shifted to sumptuous interiors. Adriaan Dortsman, a mathematician by training, was a leader of this austere style. Dortsman’s greatest hits include the Ronde Lutherse Kerk (Round Lutheran Church) and the Museum Van Loon. As Holland’s trading might faded, the wealthy fell back on fortunes amassed in the mercantile era. Many invested or turned to banking, and conducted business from their opulent homes. Traders no longer stored goods in the attic because they could afford warehouses elsewhere. The Gallic culture craze proved a godsend for architect and designer Daniel Marot, a Hugenot refugee who introduced matching French interiors and exteriors to Amsterdam. Living areas were bathed in light that fell through sash windows on white stuccoed ceilings. As the elegant bell gable became a must, many architects opted for the next big thing, a horizontal cornice. The dignified façades and statuary of the Louis XIV style hung on until about 1750. In rapid succession it was followed by Louis XV style – rococo rocks, swirls and waves – and Louis XVI designs, with pilasters and pillars making a comeback. Standing in front of the late-Louis-style Felix Meritis Building, step back and note the enormous Corinthian half-columns, with a pomp that architect Jacob Otten Husly was skilled in imparting. 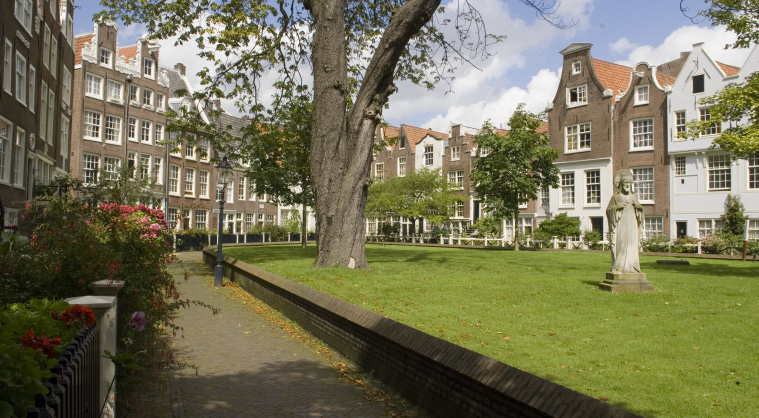 The Maagdenhuis on the Spui, designed by city architect Abraham van der Hart, is a more sober brand of this classicism. Built in 1787 as a Catholic orphanage for girls, the building is now the administrative seat of the University of Amsterdam. After the Napoleonic era, the Dutch economy stagnated, merchants closed their pocketbooks and architecture ground to a halt. Seen as safe and saleable, neoclassicism held sway until the more prosperous 1860s, when planners again felt free to rediscover the past. The late 19th century was all about neo-Gothic, harking back to the grand Gothic cathedrals, and the neo-Renaissance. It was around this time that Catholics regained their freedom to worship openly, and built churches like mad in neo-Gothic style. A leading architect of the period was Pierre Cuypers, the man known for skilful design blur on several neo-Gothic churches, something he had in common with CH Peters. Their contemporary AC Bleijs created some of the greatest commercial buildings of the era. Pierre Cuypers designed two of Amsterdam’s iconic buildings: Centraal Station and the Rijksmuseum, which both display Gothic forms and Dutch Renaissance brickwork. A similar melange is CH Peters’ general post office, now Magna Plaza. The ebullient neo-Renaissance façade of the former milk factory (Prinsengracht) was built in 1876 to a design by Eduard Cuypers (Pierre’s nephew). Bleijs designed the high-profile St Nicolaaskerk as well as the intimate PC Hooft Store (1881; Keizersgracht 508). The latter, a Dutch-Renaissance throwback with a Germanic tower, was built to commemorate the 300th birthday of the poet and playwright Pieter Cornelisz Hooft. 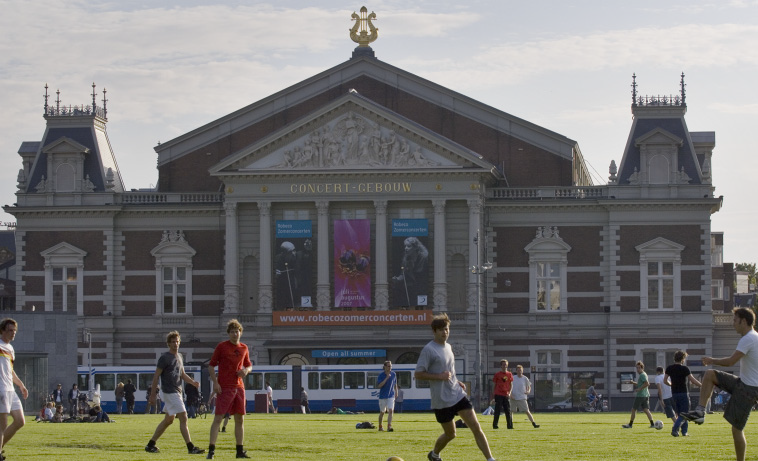 The façade of AL van Gendt’s Concertgebouw is neoclassical, but its red brick and white sandstone are all Dutch Renaissance. Around the turn of the century, the neo-Goths suddenly fell out of favour as Art Nouveau spread its curvy plant-like shapes across Europe. Art Nouveau’s influence can be seen in the Greenpeace Building (Keizersgracht 174-176). 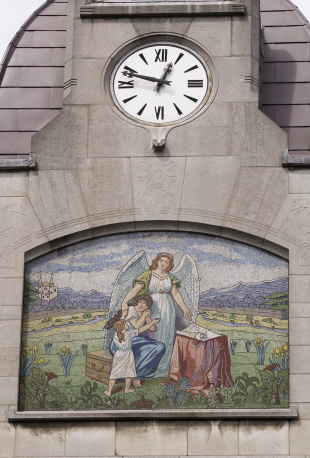 The towering edifice was built in 1905 for an insurance company, and its tiled façade shows a guardian angel who seems to be peddling a life policy. 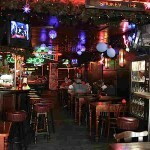 Other Art Nouveau structures are the Amsterdam American Hotel and the riotous Tuschinskitheater. The father of modern Dutch architecture was Hendrik Petrus Berlage (1856–1934). He criticized the lavish neostyles and their reliance on the past, instead favouring simplicity and a rational use of materials. In Berlage’s view, residential blocks were a holistic concept rather than a collection of individual homes. 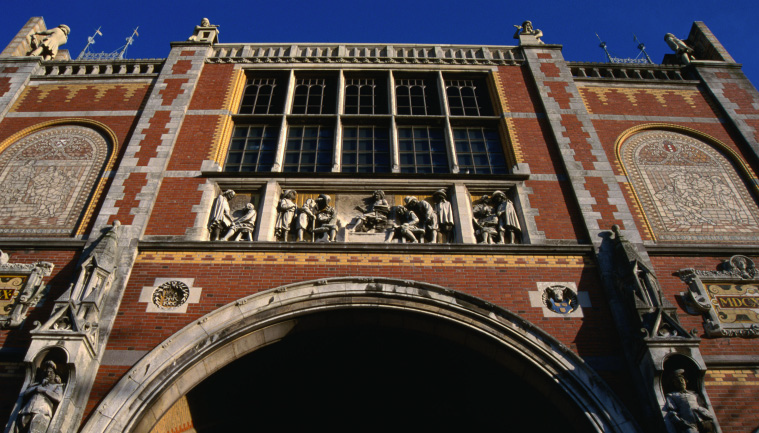 Not always popular with city elders, Berlage influenced what became known as the Amsterdam School and its leading exponents Michel de Klerk, Piet Kramer and Johan van der Mey. The titans of the Amsterdam School designed buildings of ‘Plan South’, an ambitious project mapped out by Berlage. Humble housing blocks became brick sculptures with curved corners, odd windows and rocketshaped towers, to the marvel (or disgust) of traditionalists. It was a productive period that ushered in a new philosophy of city planning, given a boost by the 1928 Olympic Games held in Amsterdam. The Beurs van Berlage displayed the master’s ideals to the full, with exposed inner struts and striking but simple brick accents. Johan van der Mey’s remarkable Scheepvaarthuis was the first building in the Amsterdam School style. It draws on the street layout to reproduce a ship’s bow. De Klerk’s Het Schip in the Haarlem Quarter and Kramer’s De Dageraad in the De Pijp neighbourhood are like fairy-tale fortresses rendered in a Dutch version of Art Deco. Their eccentric details are charming, but the ‘form over function’ ethic meant these places were not always fantastic to live in. As the Amsterdam School built, a new generation began to rebel against the movement’s impractical and expensive methods. In 1927 they formed a group called ‘de 8’, influenced by the Bauhaus, Frank Lloyd Wright and Le Corbusier. Architects such as Ben Merkelbach and Gerrit Rietveld believed that form should follow function and advocated steel, glass and concrete. The Committee of Aesthetics Control didn’t agree, however, which is why you’ll see little functionalism in the Canal Belt. After WWII, entire suburbs such as the sprawling Bijlmermeer in Amsterdam-Zuidoost were designed along functionalist lines. By the late 1960s, however, resistance would grow to such impersonal, large-scale projects. 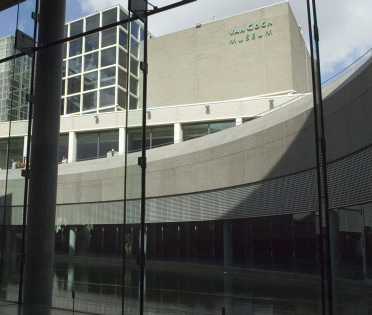 Rietveld left Amsterdam the Van Gogh Museum, where the minimalist, open space allows the artist’s works to shine. You can enjoy coffee inside his M Café. Aldo van Eyck’s work also remains controversial, with critics arguing it looks out of place against the 17th- and 18th-century surrounds; his designs include the Moederhuis (Plantage Middenlaan 33), built for ‘fallen women’. Since the 1970s, designers have lent human scale to the suburbs by integrating low- and mediumrise apartments with shops, schools and offices. In the Plantage district, a must-see is the enormous Entrepotdok. Sprawling half a kilometre along the former loading dock, the crusty shipping warehouses have been recast as desirable apartments, studios and commercial spaces. Nearby, the Eastern Docklands was full of derelict industrial buildings until the 1980s and early ’90s, when they got a new lease on life. 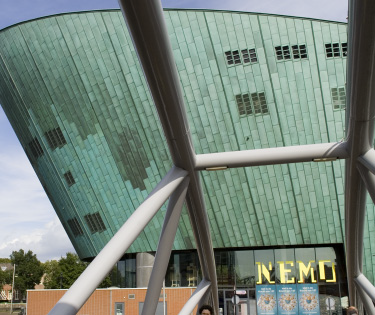 Looking southeast from Centraal Station, you can’t overlook the green copper snout of NEMO, a science museum designed by Renzo Piano that resembles the prow of a ship. The cubelike glass shell of the Muziekgebouw stands not far to the north, on the IJ waterfront. Clad in a voluptuous body of aluminium and glass, Arcam (Architectuur Centrum Amsterdam) is a tribute to the city’s architectural prowess. The Eastern Harbour District is home to the innovative community called IJburg, which will eventually house many thousands of residents on a string of artificial islands. It’s linked to the mainland by the curvaceous Enneüs Heerma Brug, now dubbed Dolly Parton Bridge by locals. Amsterdam-Zuidoost prides itself on the Living Tomorrow Pavilion, a ‘smart’ building with talking appliances by star architect Ben van Berkel. Sweeping new projects are underway outside the old centre. On the shores of the IJ stands the Oosterdokseiland, a row of landmark buildings that includes the new city library, and the Westerdokeiland , a harbour that has been repurposed for work, play and sleep. On a former industrial estate across the IJ river, smart housing blocks and office towers are springing up at the Overhoeks development. On the southern ringway, the hi-tech business district of Zuidas (‘south axis’) is positioning itself as a rival to London’s Canary Wharf. One of the more intriguing sights out here is the ING House; Amstelveenseweg 500), a shoe-shaped, glass-clad complex on stilts – truly a bank with a sole.